Chapel Hill, NC – Right down the road from Pittsboro is Briar Chapel, the Triangle’s largest green living community. 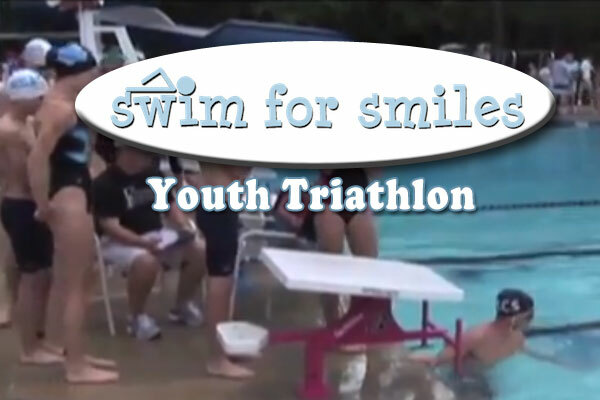 On Saturday, September 8, 2013, they’ll hold their Swim for Smiles Youth Triathlon. The Swim for Smiles Foundation is proud to announce that it has opened registration for our 7th Annual Youth Triathlon. In our 7-year history, this will be our first Fall race and we’ll celebrate it with an all-new venue and better race course (speed-bump free, wider roadways and fewer hills). The 2013 race will be in the southern part of Chapel Hill, NC on September 8th and the brand-new Briar Chapel neighborhood. Our 2011 event drew over 850 participants and was the largest kid’s triathlon in the USA and it was followed up with a 2012 event that was smaller due to the venue safety restrictions of the Chapel Hill Country Club. That forced us to move the race in 2013 and find a new home for our event. Our top priority for a new venue was safety and nearly as important was growth potential so we don’t have to move it again for a while – with Briar Chapel, we found both! The Swim for Smiles Youth Triathlon has won the Endurance Magazine Award for the Best Kid’s Race in North Carolina for three years in a row. We are ready to accommodate over 1000 kids this year with a new course and even more fun activities pre- and post-race and better viewing for parents! Open to kids from ages 5-18 (yes, now 5-year olds can participate), the Swim for Smiles Youth Triathlon is a USA-Triathlon sanctioned event and includes two courses for ALL levels of participants. In addition, we have a limited number of relay teams made up of kids of any and all ages (one kid will swim, another bike and the third will run the course — all relay participants and teams will do the Long Course). Beginners should consider our Short Course triathlon that includes a 100-meter swim, a 2.5-mile out and back bike course and finishes with a short 1K (0.6miles) run. Long Course participants will begin with a 300-meter swim, transition to a 5-mile bike course and then finish with a 3K run (1.8 miles). The Swim for Smiles Youth Triathlon starts at 8am and is considered an easy triathlon and it designed for all levels of youth participants. Every finisher receives a medal and the top three finishers of each age group will receive prizes! Swim for Smiles has produced some nice education videos about how to do a triathlon for kids.